Join CBLDF at New York Comic-Con for Parties, Signings, Panels & More! This Thursday, CBLDF joins comics fans and creators from around the world in New York City for New York Comic-Con! October 6-9, you’ll find us at booth #2258 in the Javits Center with exclusive CBLDF merchandise and apparel, signed graphic novels, prints, and more! Join the Wonder Woman and Paper Girls artist for a signing at our booth on the exhibit floor! 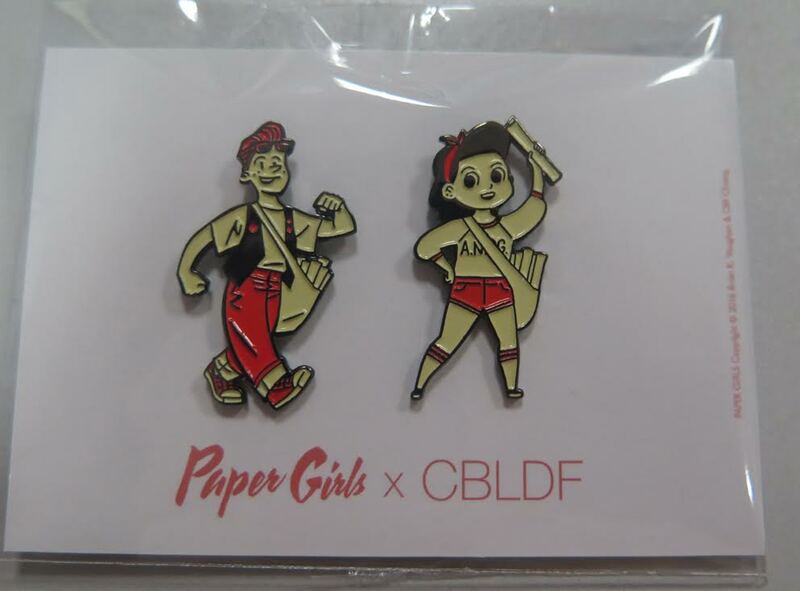 We’ll also have a brand new CBLDF-exclusive Paper Girls pin set, a NYCC EXCLUSIVE! Some of comics’ greatest clashes never appeared within the Panels — they were decided by a gavel! CBLDF board member Dale Cendali, an intellectual property icon known for litigating high profile cases (including in the Supreme Court), walks through the history of comics IP in the courts, examining some of the most important cases creators need to know to protect themselves and their work in 2016! Dale will be joined on the panel by CBLDF Executive Director Charles Brownstein and Kirkland & Ellis’s Josh Simmons. 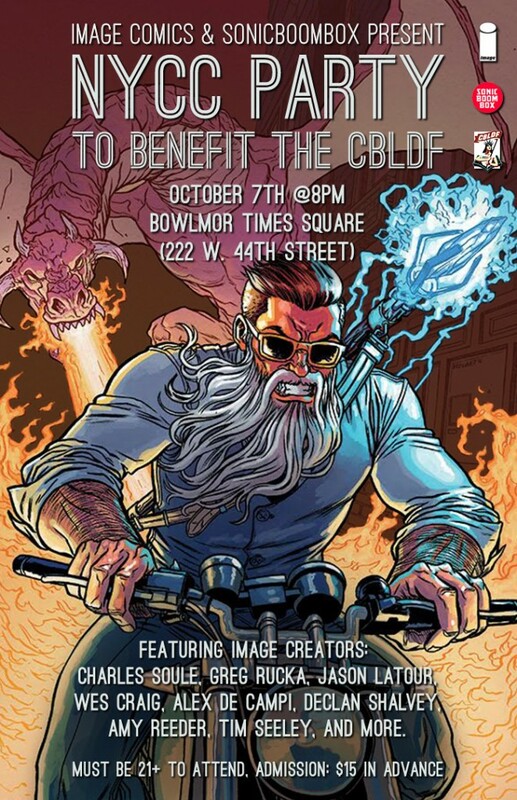 Image Comics, Midtown Comics, and Sonicboombox are re-teaming for a special NYCC After Party to be held at Bowlmor Times Square (222 W. 44th Street). A portion of the proceeds will go to benefit the Comic Book Legal Defense Fund. Must be 21+ to attend. The fun begins at 8 p.m. – 2 a.m. in the Art Deco room (4th floor) with 12 lanes of free bowling (first come, first served)! Come join Charles Soule, Greg Rucka, Jason Latour, Wes Craig, Alex de Campi, Declan Shalvey, Amy Reeder, Tim Seeley, and more of your favorite Image creators for specialty drinks, complimentary bowling all night long, photobooth shenanigans, mingling, and enjoy a live music performance, Q&A, giveaway, and raffle from Charles Soule and his Wizard Band in celebration of the forthcoming launch of CURSE WORDS.